SISTER CLUB: Washington NSG Athletic Join! 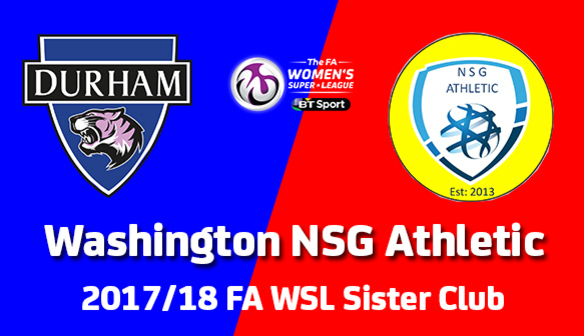 Durham Women are delighted to announce that another local club has joined our FA WSL Sister Club programme - with Washington NSG Athletic signing up! The FA-backed programme was launched in July and has attracted great interest from the North East and further afield. Durham United became the first club to be announced as part of the programme, and they're now joined by Washington NSG Athletic who have signed up for the 2017/18 season. Washington NSG Athletic were established as recently as 2013 with only one team but, thanks to the terrific community support from Washington and it’s surrounding areas, they have expanded to 17 teams entering competitive football in the 2017/18 season. The club’s philosophy is very simple: to develop football and social skills in local boys and girls and to provide them with the best platform possible to enjoy their football. There are currently opportunities at all age and ability levels within Washington NSG Athletic, and the club plan to develop even further over the coming years, with the help of two new schemes - partnering up with the Wildcats for this Sister Club Programme and a new “NSG Shooting Stars” programme, dedicated to 4-6 year-olds. The club currently holds FA Charter Standard status but is working with the FA to move up to Community Standard, while also developing their Football Development Plan. Players from the club attended some of our games last season as mascots, while skipper Sarah Wilson was present at the club's End of Season Presentation. You can find out more about Washington NSG Athletic on Facebook and Twitter. The side will enjoy their Sister Club Day at the FA WSL fixture against London Bees on 12th November, while all their junior players will be able to benefit from free admission to our fixtures, tournaments across the season, player visits and open training sessions as well as much more! There are exciting times ahead for Washington NSG Athletic, and Kevin Nixon was delighted to be partnering up with the Wildcats. He said: "Washington NSG Athletic are absolutely thrilled to be part of such a great club in Durham Women FC, and having played a small part in supporting the team last season, we did not hesitate at all when we were offered this fantastic opportunity to become a Sister Club for the 2017/18 season. "The girls section is really taking off at our club, so this was certainly the most natural step to help further develop the girls within the club currently, and attract new players too. 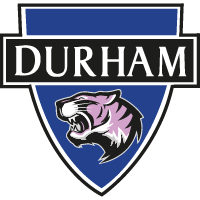 "We were fortunate enough at the end of last season to have Durham Women players at our annual presentation night and they have already struck up a fantastic relationship with our girls - some are on first name terms already! "The club is so excited for this partnership to get going, and we look forward to the season, and will be there to support Durham Women FC in what should be a very entertaining FA WSL 2 season"
Sister Club Programme Officer Mark Donnelly added: "I'm absolutely delighted that Washington NSG Athletic have signed up for the Sister Club Programme. "Their players and staff have become massive supporters of the club over recent times and we knew they were a club we wanted to be part of this scheme. "As a club, they're showing a terrific desire to improve their girls' football provision and we can't wait to be a part of that. "We're already looking forward to seeing that at the London Bees game and I'm sure they'll turn out in numbers at all our other matches too!"